Rahat Fateh Ali Khan (RFAK‎) is a Pakistani vocalist, essentially of Qawwali, a spiritual music of the Muslim Sufis. He is the nephew of Nusrat Fateh Ali Khan and son of Farrukh Fateh Ali Khan, furthermore the grandson of Qawwali artist Fateh Ali Khan. Other than Qawwali, he also performs ghazals and other light music. He is famous as a Bollywood and Lollywood playback singer. Rahat’s uncle Nusrat Fateh Ali Khan picked him for his training in the traditions of Qawwali music. Rahat started singing with his uncle and father when he was three years old. In the age of seven he started formal training with his uncle and he gave his first presentation in public at the death anniversary of his grandfather when he was nine years old. At the age of 15, he was made a basic part of Nusrat Fateh Ali Khan's famous qawwali group. He visited the United Kingdom with his uncle in 1985, and performed solo songs other than singing with the Qawwali group. 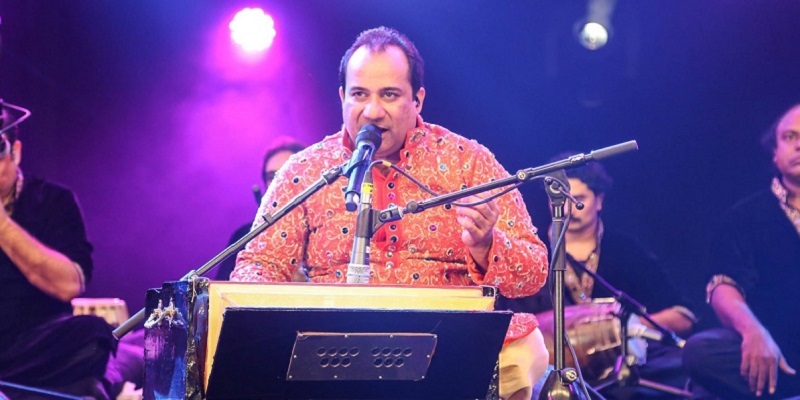 Rahat turned into the first Pakistani to be welcomed at 2014 Nobel Peace Prize, to perform at its show. He performed Nusrat Fateh Ali Khan's most unforgettable qawwali "Tumhe Dillagi..." and "Mast Qalandar...", he also sang "Aao Parhao - Jo Seekha hai woh sab ko seekhao" (Come Teach - Teach all that you have learnt). Best Viewed at 1024 x 768 pixels and above. This Page loaded in 0.02565 seconds on Tue, Apr 23, 2019 (20:57).